Founded and fuelled by passion for food and hospitally, Chateau de C.A.F.F.E.I.N.E.E.S has grown from a humble coffee joint in 2006 to a unique café restaurant with a colorful mix of diners from young proffesionals to families and students. It's quaint and cosy garden ambience only complements it's vast array of east meets west menu. designed to satiate the palates of diners from breakfast to supper. 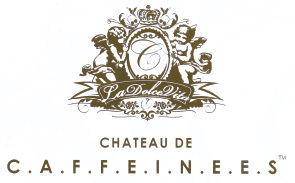 Chateau de C.A.F.F.E.I.N.E.E.S is renowned for its fine coffees and offers a wide selection of international wines and beers making it an ideal place to unwind while being serenaded by their house acoustic band. A relaxed but dynamic dining experience that's deeply rooted in Kuala Lumpur.